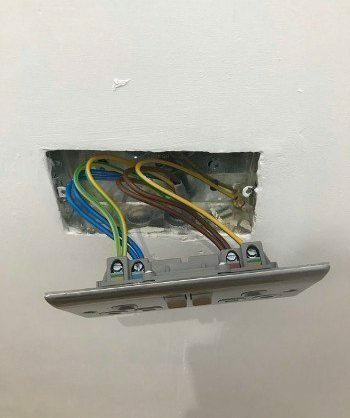 A recently completed job in Leigh-on-Sea for a customer who required a new plug socket installed whilst having carpets relayed. As with all plug socket replacements and installations, this job was completed within an hour of Leigh Electrical receiving the call. 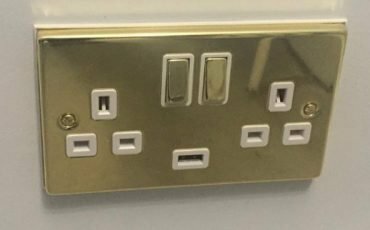 In this particular instance the customer already had the required plug socket fittings but Leigh Electrical can happily source whatever fitting and fixtures you may require. Leigh Electrical offer our plug socket installation, removal and replacement service alongside a full set of domestic electrician services. 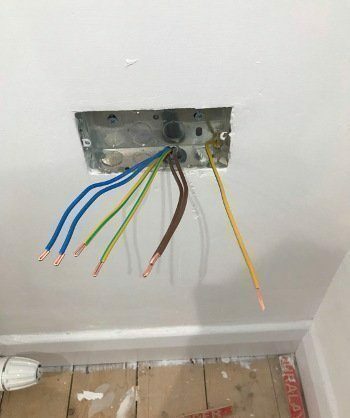 As with all domestic electrical work completed by Leigh Electrical, this plug socket installation is covered under the NICEIC Platinum Promise 6 Year Guarantee. To book a free no obligation quote for your plug socket installation or to speak with our team regarding any other domestic electrician service in Leigh or Southend, please call us directly on 01702 873350. 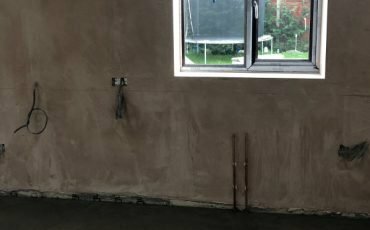 Leigh Electrical have been competently performing plug socket installations in and around Leigh and the wider Southend area for over 50 years. The value and quality of the service we provide has been reviewed hundreds of times on both Trustatrader and Checkatrade. We have recently received the coveted 250 and 500 verified feedback certificates from Checkatrade and Trustatrader respectively. All of the work we complete is covered under our NICEIC accreditation, this is the highest standard of electrician accreditation the UK and covers all work completed by its members for a full 6 years following completion. 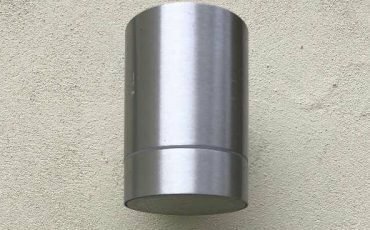 A wide variety of previous installations carried out by our team can be viewed here on our projects page. New plug socket installation in Leigh-on-Sea. For more information please call us directly on 01702 873350.